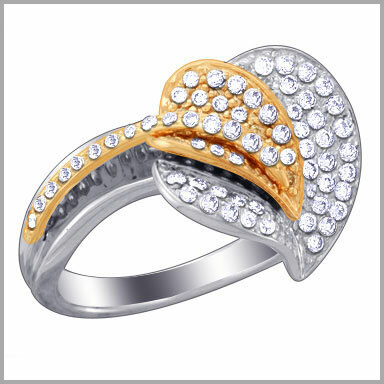 dd dimension to your style with this dazzling heart design!14k gold and diamonds ring. This ring is crafted in polished 14K white and rose gold. It features 85 round cut diamonds in prong settings. The smaller rose gold heart sits nestled within the larger white gold heart...a clearly ingenious design. 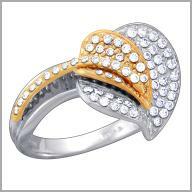 The total diamond weight is approximately 0.85ct with a color of G-H and a clarity of SI. 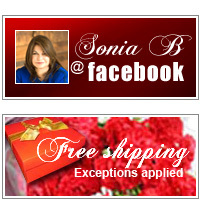 The setting size is 1/2" x 3/4" with a height of 1/4".